Prominent & Leading Manufacturer from New Delhi, we offer vci zip lock bags, medical zip lock bags, medical zip lock bag and vci zip lock bag. 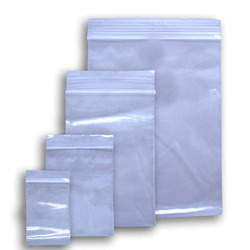 We here offer our clients with a huge and exclusive anti corrosive range of VCI Zip Lock Bags that are suitable for storing various of the metal and multi metal surfaces which include carbon steel, stainless steel, copper, brass, aluminum, silver, silicon steel and galvanized steel. Plus to that these are light in weight and hence and be easily carried on whenever required. Minimum Order Quantity- 10000 Pieces. We have developed and established ethical and moral business dealings for ourselves, with which we are now able to manufacture and provide the customers with Medical Zip Lock Bags that find their suitability in the medical arena for packaging and storing various samples and other medical products for longer period of time. These bags are made out of high-grade ultra clear polypropylene resins that ensure our clients for hygienic storage of various types of medical products providing them with heat and water resistance. 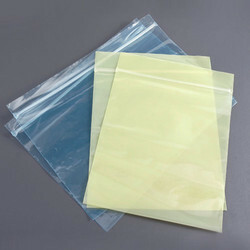 Looking for VCI Zip Lock Bags ?